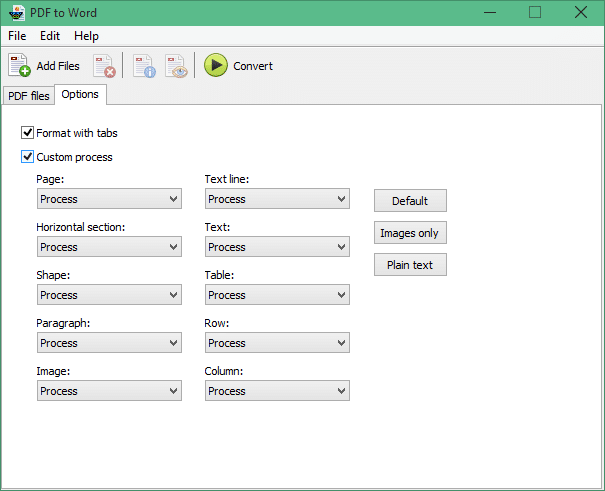 There are free tools to extract text from PDF files. There are also tools to extract images from Portable Document Format files. And then there are number of tools to convert PDF files to Word or other formats. Even though there are plenty of tools around to deal with PDF files, as you know, it’s difficult find all these functionalities in one tool. PDF Shaper is a free software designed to deal with PDF files in Windows operating system. With PDF Shaper, you can extract text from PDFs, extract images PDFs with a click, rotate pages of PDF files, sign PDFs, split large PDF files either by extracting all pages or specified pages, and merge multiple PDF files into one. In addition to these features, there are options to encrypt or decrypt PDF files. The freeware is also capable of converting PDF files to image, PDF files to Word (.RTF), and image files to PDF. The user interface of the tool is not just attractive but also easy-to-use. All the tools are available right on the home screen of PDF Shaper. You just need to click on a tool to launch the same. Unlike many other free tools and online services out there, PDF Shaper, when extracting text from PDF, lets you preserve the text layout. While encrypting the PDF file, you can select one or more permissions from these: print, copy access, change, print full, fill fields, copy, assemble and add notes. Finally, note that the PDF to Word tool can only be used to convert PDF files to Word RTF files and not Office Word format. The RTF format file is supported all editions of Office Word program though. One of the impressive things about PDF Shaper is that it’s absolutely free. The setup neither offers any third-party browser tools nor tries to silently install other software during the installation. The download size of the PDF Shaper is about 8MB. 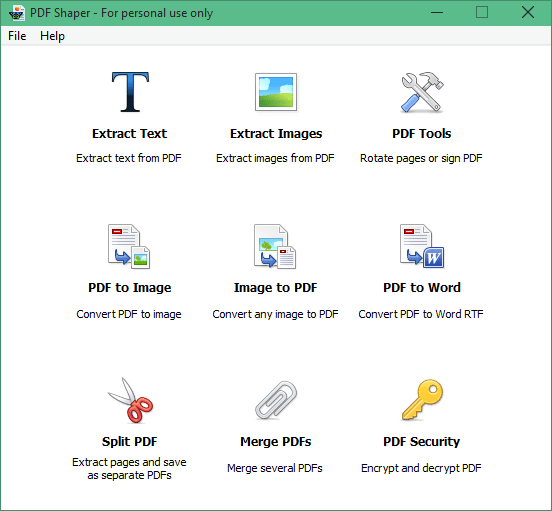 PDF Shaper is compatible with Windows XP, Vista, Windows 7, Windows 8/8.1 and Windows 10 operating systems. Meanwhile, if you’re looking for an impressive but free PDF reader with cool set of features, you must check out Gaaiho PDF Reader. Visit the following page to download the newest version PDF Shaper. Do let us know your opinion about this free software.